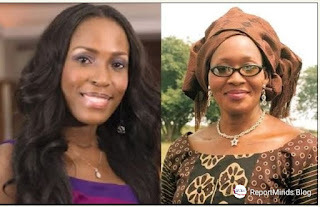 Controversial journalist, Kemi Olunloyo, who has been on Linda Ikeji's case for a very long time now, has finally forgiven her, after 13 years. Kemi made this known with a video she just posted on her Instagram page few minutes ago. Kemi has been claiming Linda Ikeji pinned a surrogate baby of her baby daddy, Jayce Jeremi, showed the world a moon bump to people feel she's pregnant, and also faked her hospital birth photos. Well, Kemi has now forgiven her and didn't really state any reason for the forgiveness. 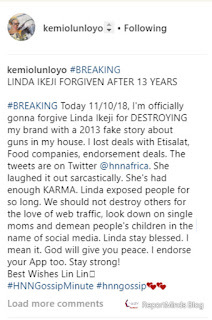 According to Kemi, she woke up a different person this morning and decided to forgive the celebrity blogger. 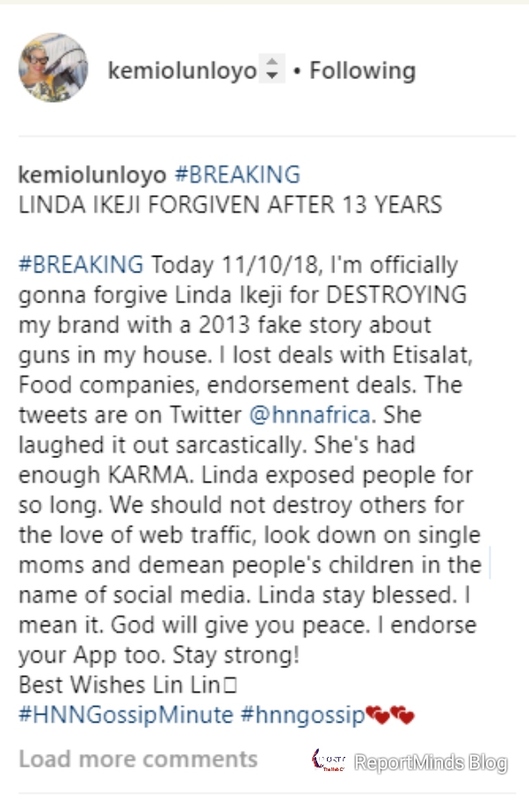 Kemi wrote; "#BREAKING LINDA IKEJI FORGIVEN AFTER 13 YEARS #BREAKING Today 11/10/18, I'm officially gonna forgive Linda Ikeji for DESTROYING my brand with a 2013 fake story about guns in my house. I lost deals with Etisalat, Food companies, endorsement deals. 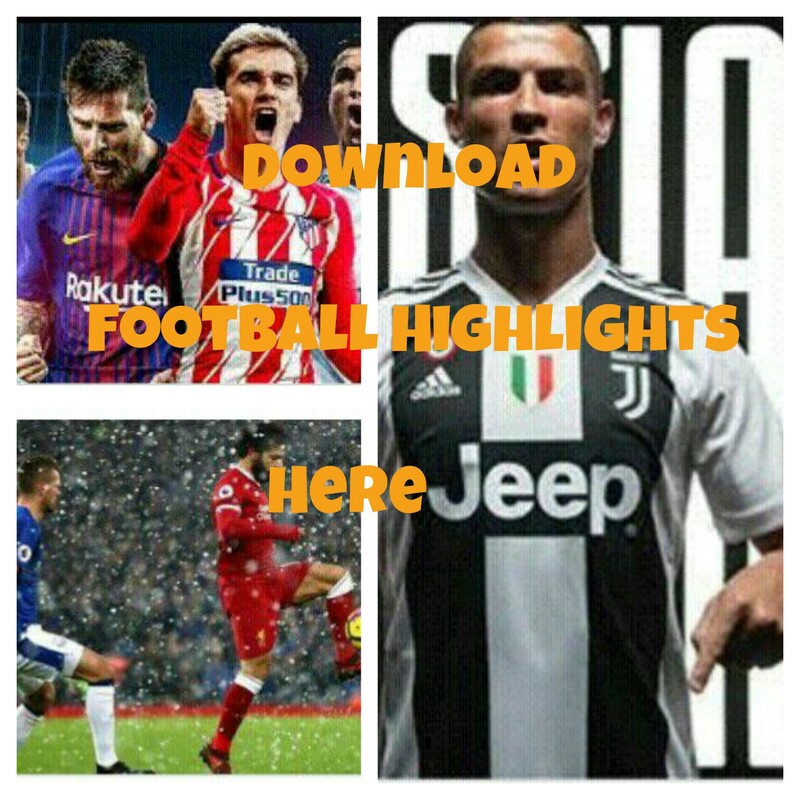 The tweets are on Twitter @hnnafrica. She laughed it out sarcastically. She's had enough KARMA. Linda exposed people for so long. We should not destroy others for the love of web traffic, look down on single moms and demean people's children in the name of social media. Linda stay blessed. I mean it. God will give you peace. I endorse your App too. Stay strong! Best Wishes Lin Lin� #HNNGossipMinute #hnngossip��"